Watch "The History of CHCP"
by doctors in the Texas Medical Center. CHCP is an accredited Health Care Career College with a 30 year history. Become a certified health care professional in as little as 10 months. Our health care programs are designed to prepare students for their careers in specific allied health care professions. With an online degree program, you have the flexibility to advance your career around your busy schedule. The College of Health Care Professions has eight Texas campuses and an online school. You want a career that you can build a life around - one that you can take pride in; that makes a difference in your community; and that can offer you and your family greater financial security. A career in healthcare can offer all of those things, and the College of Health Care Professions (CHCP) is the perfect partner to help you attain a degree or certification and achieve employment in your new field. We are focused on giving you the right tools at every step, including financial aid assistance and scholarship opportunities; supportive faculty who have practiced in the profession they teach; instruction in resume writing and interviewing; and most importantly job placement assistance. Our classroom, lab and externship experiences will let you see how real equipment is used and then practice the techniques you’ve learned. Our educational focus is career-oriented, combining coursework with externships that provide real-world experience and connections. 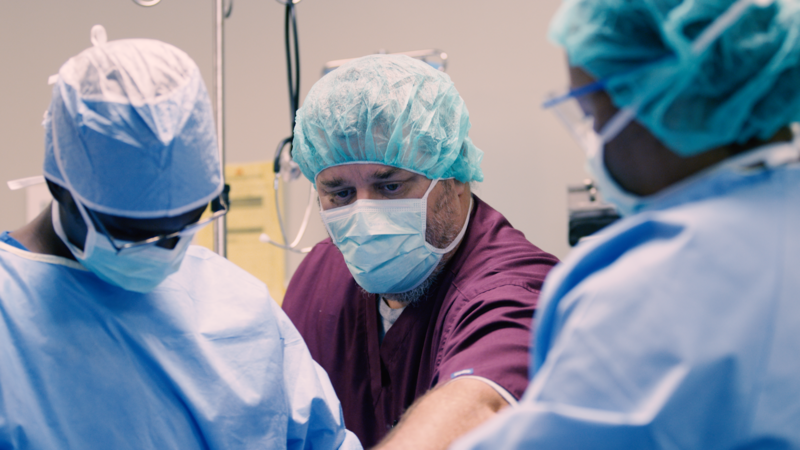 Originally founded by physicians, we’ve been 100 percent focused on the education and training of healthcare professionals for more than 30 years. The quality of our education means our graduates are in demand. Our students and graduates have worked with over 1000 employers. CHCP is proud to be accredited by The Accrediting Bureau of Health Education Schools (ABHES).